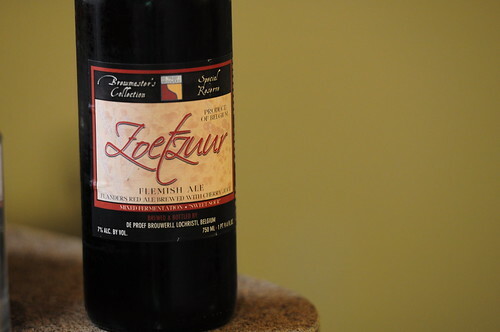 De Proefbrouwerij Zoetzuur Flemish Ale, originally uploaded by adambarhan. A: Pours a light amber brown with some haze. S: Plenty of sour cherries on the front with a bit of vinegar, some lactic notes, and a hint of malt sweetness as well. M: The body is medium with a very lively carbonation and a dry finish.